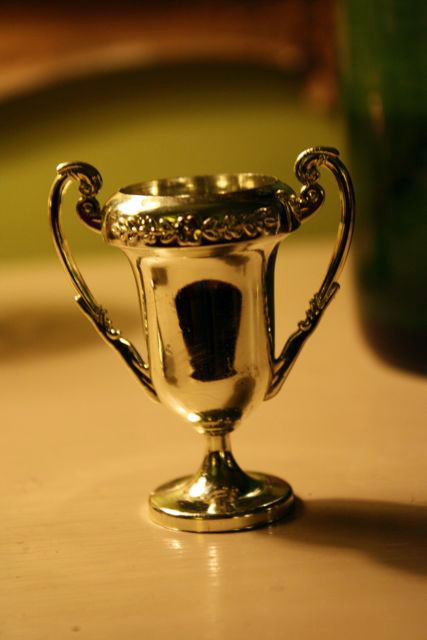 Trophy 1 by Julie Rybarczyk licensed under CC-BY-2.0. Working in the LRC means that the team enjoys books and encourages wide reading in all formats and genres – illustrated and plain text; digital and print; long and short. Yet even I must admit I put down the grand epic ‘War and Peace‘ because it was just too long. According to this literature infographic, it would take you somewhere upwards of 32 hours to read that novel. If you are up for a challenging read but don’t have much time, many of the most famous authors also wrote novellas. Novellas are short fiction which are often realistic or satirical (See the Encyclopaedia Britannica entry). They are much like short stories and influenced that concise genre of writing. They would probably only take one or two hours to read. Quick wins! It’s not about how fast you read something or whether you finish a book. Novellas may also lead you onto authors whose style you enjoy and can read their longer works. In libraries novellas and short stories are included with fiction and modern literature shelves. We have stickers on the spines to show you they are short stories. You could try reading Alice Munro’s work for instance. We have Hateship, Friendship, Courtship, Loveship, Marriage in the LRC. Novellas and short stories could have a shelf for themselves with appropriate signage. Like our Quick Reads shelf. The advantage would be speed. It would be much quicker to locate. Also you would be able to browse a whole shelf of novellas and short stories in a short time to find something you would like to read. What do you think? Do you have time to read a short story or novella? Which of these prize-winning novellas would you like to read? My Athens makes it possible to access web resources that our college is subscribed to, including ebooks on Dawsonera and Ebrary and newspaper articles on UK Newsstand and many more. Only long course students have access to these eresources as it takes some time to become fluent with finding information through them. Once you come to terms with navigating My Athens and the eresources the next step would be to personalise your account to make working on the web easier for you. One way to personalise your account is to customise your homepage. You can click ‘add panel’ to see news feeds from websites wherever you see the classic RSS orange icon. There are feed readers that you can add to Chrome or Firefox toolbars so even if you don’t have an My Athens account you can still get news easily on your laptop. I have feeds from Europeana, Research Buzz and BBC news on my homepage. So each time I log in to see eresources I see the most up-to-date news and articles from my favourite sites, ones I don’t normally access every day otherwise. It is not too much of a distraction as long as I don’t forget why I was in My Athens to start with! Another suggestion is that you can also add the ‘favourite resources’ panel so that you don’t need to click on the ‘resources’ page. You can move the panels around by clicking and dragging on the dotted box and arrow icon in the right hand corner of the panel. Hope you find these tips useful! 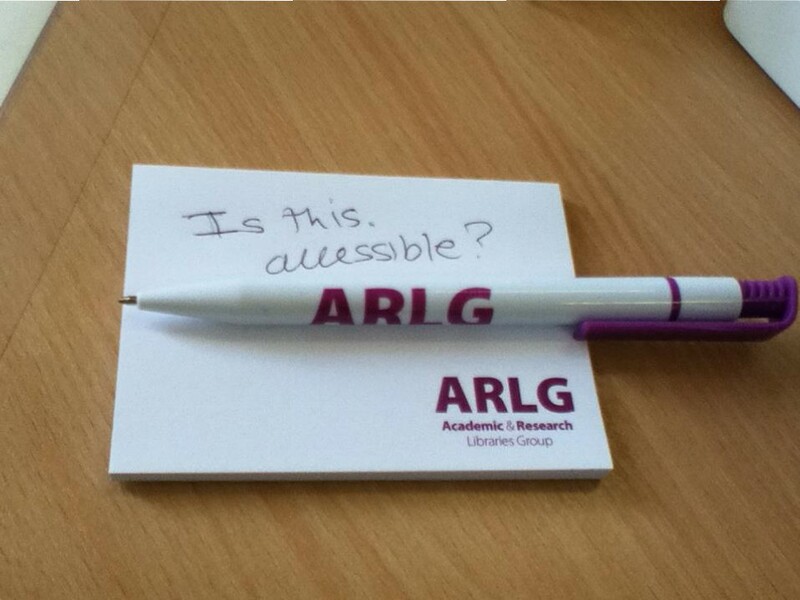 Julia Taylor from Jisc gave an interesting talk on accessibility at the Academic and Research Libraries Group (ARLG) Members’ Day at the Chartered Institute of Library and Information Professionals (CILIP) on 14 May. Did you know that it’s possible to embed sound into Word documents? Or that you can make them more accessible by using style templates? Take a look at Jisc TechDis advice on making Word documents more accessible. If you’re using Word 2010 there are a number of help videos on YouTube. We’re using 2013 here so we need to look up what can be done for our learners in the Office 2013 suite. Here’s a handy page on Accessibility Features in Office 2013 which advises you on how to make the ribbons easier to use and a checker to find out how accessible your documents are. Here’s one for Word 2013 too. Getting new textbooks and non-fiction books that are suitable for Further Education students is an enjoyable and challenging part of the LRC team’s job. There are fantastic books on all subjects but the problem is that some are higher education focused, i.e. really wordy. Making the most of Illustrations is a central part of reading. A picture tells a thousand words, right? We keep an eye out for non-fiction that has lots of pictures and graphics alongside high-quality writing.This is good news for a faster engagement with new topics and understanding for visual learners such as dyslexics. At the same time, non-fiction books that are less text-heavy are also easier to skim read and skip to key subheadings. These can be good reading strategies. Humour is often used too which can make even the driest subject more interesting. Let us know what other non-fiction ‘picture books’ you like. Which subjects lend themselves well to being illustrated or is this approach just for children? Ever felt like your overwhelmed by search results when you use Google? Then this handy article by Business Insider UK will help you sharpen up your search skills. The article 11 Easy Tips for Finding Exactly What You Want on Google by Jillian D’Onfro gives you handy tips that enable you to be more precise in your searches and narrow down the results. It’s ideal for our Access to Humanities and Social Science students who are doing an extended research/essay project right now. The tip on using define: to get a definition of terms that you might want to use in setting your project question/hypothesis will be a good starter. Use domains to target websites where you can find primary source material from different types of organisations such as research organisations or think tanks (.org or .org.uk), government departments (.gov or gov.uk). This can help you find information that you cannot access in your library. Try searching with double speech marks “…” to look for an exact phrase or term on the web for example “cultural norms”. Information sources mindmap – available on the VLE. To get the better grades in assignments they are looking for you to draw from a wide range of relevant information sources to reinforce your ideas. There is no end to good sources of information available to you, but navigating your way through to the best ones takes practice and guidance. Here’s a little guidance, but please ask for help from the LRC team if you are stuck. To start out with it is advisable to find information from generalist sources such as encyclopaedias and subject specific dictionaries. For instance to find definitions of key words included in your essay question. They have more authority than Wikipedia when it comes to referencing. However, starting an assignment is scary and overwhelming, perhaps try listening to a podcast on the topic or watching a video to get more familiar with it in a short time without needing to open a book. 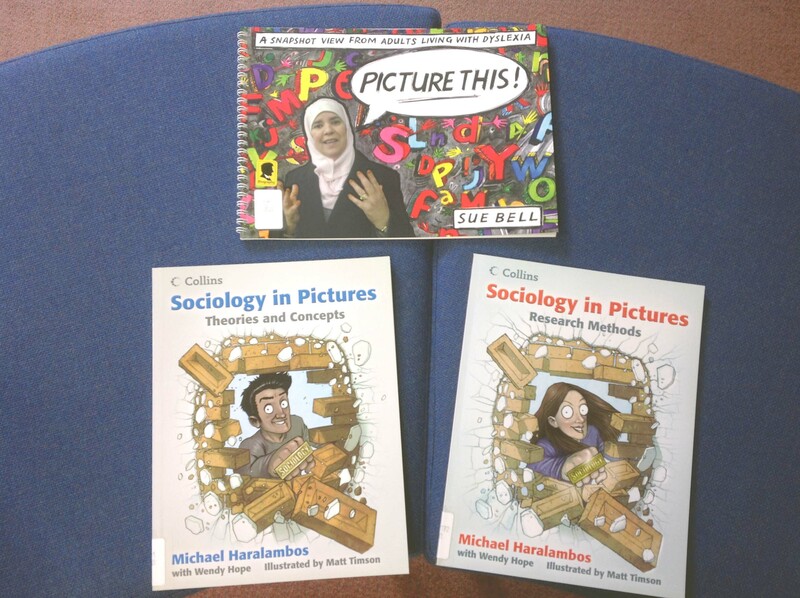 After getting a better picture of the topic and identifying the key words next you could move on to more specialist sources such as subject books, ebooks, newspaper and journal articles. 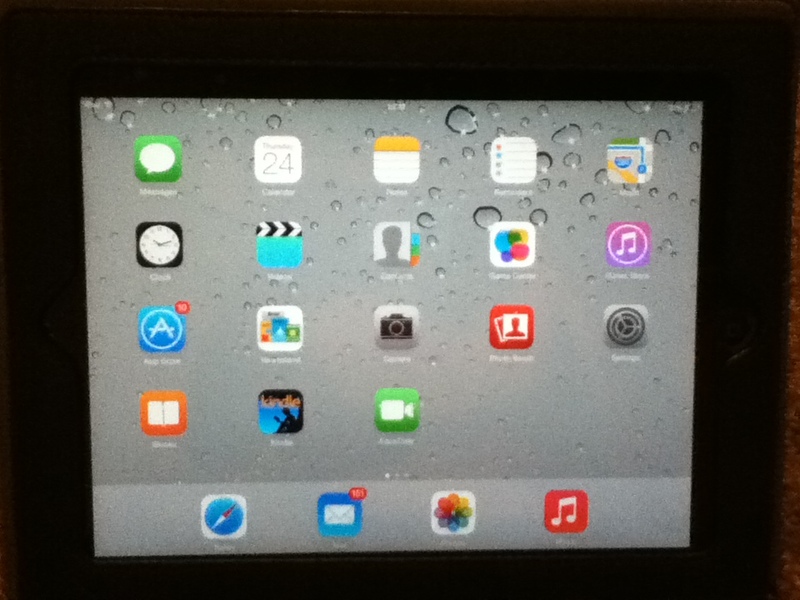 We have access to these through the MyAthens log in page on the VLE and our borrowing service. Let us know if you have forgotten your password, it happens to almost everyone. Alternatively, search on newspaper websites and such as The Guardian or through Google Scholar. There’s a mindmap of information sources that is posted on the VLE under LRC FAQs –> Resources. This week we were delighted to receive our certificates for our entries that came 2nd and 3rd in the Council for Learning Resources in Colleges (CoLRiC) Best Practice Awards. An extra surprise was the fact that our entry into the Reader Development category had come out Highly Commended. 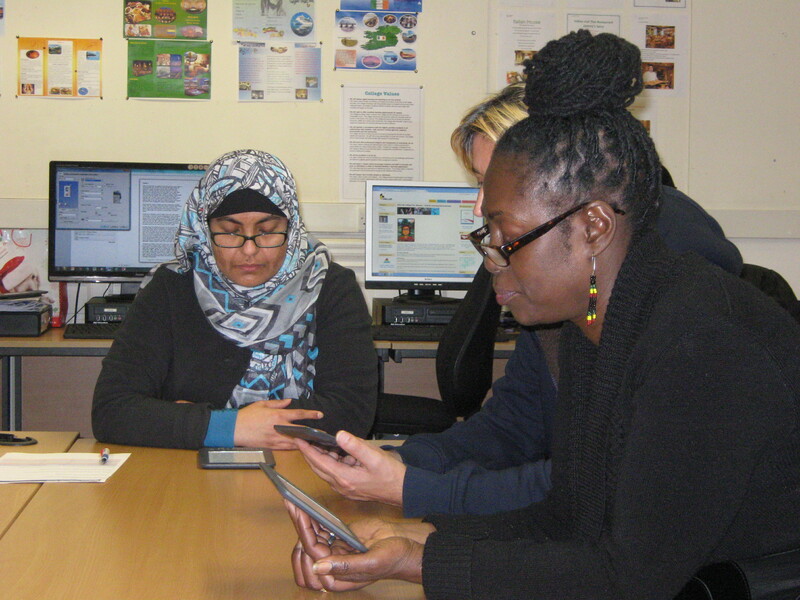 This entry Kickstart the Six Book Challenge with Ebooks looked at how we’ve been getting students and teaching staff using Kindle ebooks which included Quick Reads and graded readers with Future Proof and English for Speakers of Other Languages (ESOL) learners.